Vale Royal, formerly known as “Prospect Pen” is located on Montrose Road in Kingston. One of the richest planters in Jamaica, Sir Simon Taylor, constructed the home in 1964. It then bought by the Government of Jamaica in 1928, and became the official residence of the British Colonial Secretary (Sir Reginald Edward Stubbs). In 1957, alongside plans for nationhood, were discussions for an official residence for the incoming Prime Minister of Jamaica. It was proposed that the Mona Great House be purchased for that purpose but that proposal was not pursued. Vale Royal was identified by the Government as an appropriate residence and was refurbished for that purpose in early 1962. 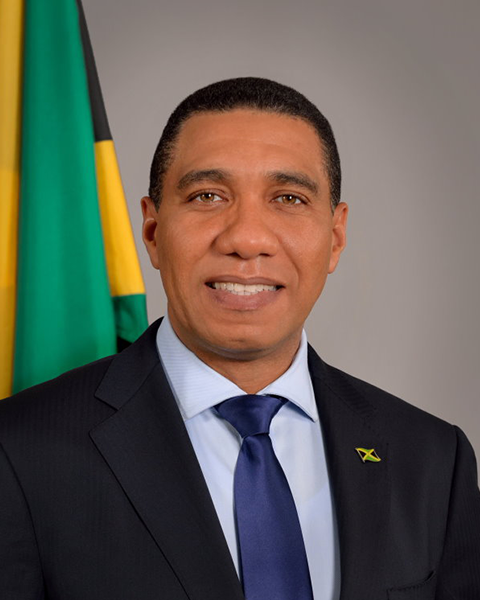 However, The Government changed with the General Elections in April 1962 and the new Prime Minister decided that Vale Royal was not a suitable residence for the Prime Minister of Jamaica, being too small. In December of 1962, the House of Representatives approved Vale Royal as the official residence of the Minister of Finance and in February of 1963, the House approved a Ruling for the construction of a new residence for the Prime Minister of Jamaica. It was not until 1980, when Vale Royal was refurbished again, that it became the official residence of the Prime Minister for the second time. Up until this point Jamaica House had coveted this title. In recent times, the residence has been left unoccupied and is used for state functions, ceremonies, meetings hosted the Prime Minister and entertainment including an annual luncheon with members of Parliament and Christmas treats for children and the elderly.